Dreams about beautiful hair accompanied by half Polish women. According to statistics kept by the cosmetic companies even half of Poles complain because of problems with hair. Most hair is dry and brittle, superfat and falling out. The real nuisance is also dandruff, which not everyone can cope with. Macrovita offers comprehensive solutions for your hair problems. Proper care and well-chosen cosmetics will help you get perfect hair. Check out how the Macrovita sets thanks to natural ingredients will solve your problems with escaping and weakened hair. One of the causes of hair loss is not properly selected shampoo. Most shampoos contain detergents that irritate the scalp. Then feel itching and visible effect is irritated scalp and hair loss. Change therefore on the mild shampoo without colorants and detergents. 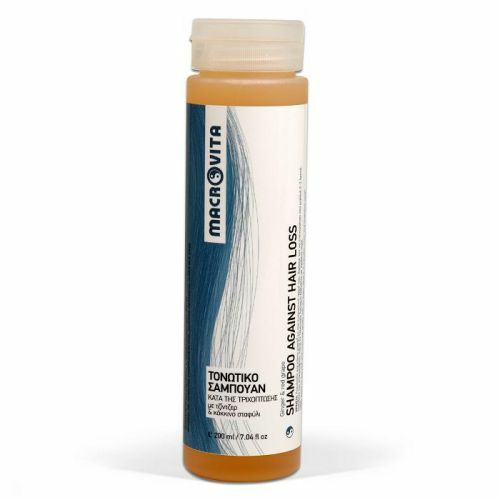 Macrovita shampoos are free from chemical detergents - SLS (Sodium Lauryl Sulfate) and SLES (Sodium Laureth Sulfate). As natural products truly care for the hair - not charged them and do not irritate the scalp. Importantly, they provide hair valuable, natural substances friendly to scalp and hair. When weakened hair, thin and falling out we recommend strengthening shampoo MACROVITA SHAMPOO AGAINST HAIR LOSS. The shampoo contains extracts of ginger and red grapes from bio-plantations and works effectively against hair loss. Gently cleanses, moisturizes hair and effectively regulates sebum production. Creates perfect conditions for reviving and strengthening weak hair bulbs. Shampoo stimulates microcirculation in the skin of the head, and thereby also the same hair bulbs become enlivened and "motivated" to produce hair. Included in the shampoo organic extracts of red grapes moisturize the skin and hair, sage works antibacterial and tones. The richness of olive oil acts as an antioxidant. Vitamin H (biotin) in the shampoo Macrovita is responsible for the healthy looking hair. Shampoo also contains Octopirox ™, which is an ingredient that fights and prevents the recurrence of dandruff. Shampoo use like any other, even daily. 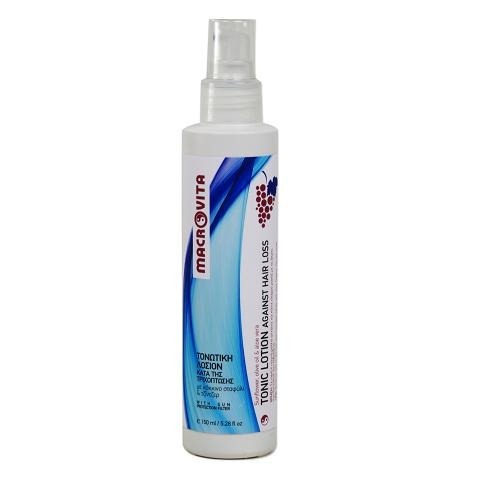 A perfect complement to the treatment of reinforcing the hair is MACROVITA BIO-TONIC with red wine grapes and ginger. Tonic ingredients - herbs and vitamins - revitalize hair follicles, strengthen them, make hair more vital. The content of ginger will improve the microcirculation of the skin, and the effectiveness of sage and red grapes protect the hair and nourish them to get quick, visible results. Follow tonic at least 2-3 times a week, on wet or dry hair. Massage it gently with fingers into the scalp and hair. Do not rinse. 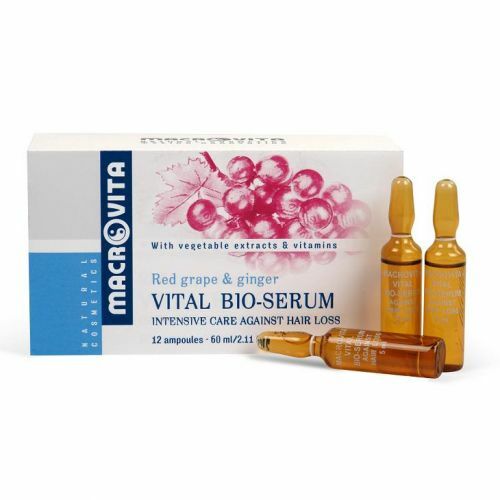 Effects of the treatment of reinforcing hair with Macrovita will be compounded if at least every 2-3 months you use the concentrated serum intensely reinforcing hair - MACROVITA VITAL BIO-SERUM. During treatment, the serum should be used 2-3 times a week. Capsules VITAL BIO-SERUM Macrovita contain active, natural ingredients, including those from organic farming. The product is a combination of concentrated herbal substances and vitamins that revitalize hair follicles and deliver visible results in the form of beautiful, healthy hair. Wheat protein content provide the strength and volume of hair. Serum may be applied over wet or dry hair, then gently massage it into the scalp and hair. Do not rinse the serum, leave it on your hair best for all night and in the morning wash your hair with a mild shampoo with a Macrovita series.